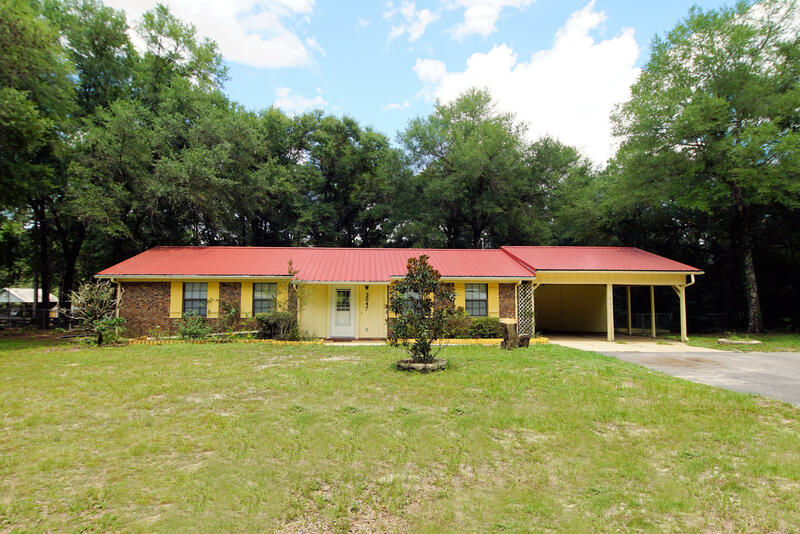 All Brick Home on almost 1 Acre in the heart of Crestview.2013 Metal Roof, 2002 HVAC, 2014 New Septic Tank, 3 Bedrooms and 2 Bathrooms, roomy living room, eat-in kitchen, laundry room inside,Tile Flooring thru out entire home, fenced yard, storage shed, carport. Did I tell you about the 24 x 24 MAN CAVE/Shop with 2 Garage Doors perfect for a Contractor to keep all your tools, four wheelers, jet skis, collector cars or lawn equipment secured. Come see this unique property..Schedule your private showing now to see this property in person as it wont last long!